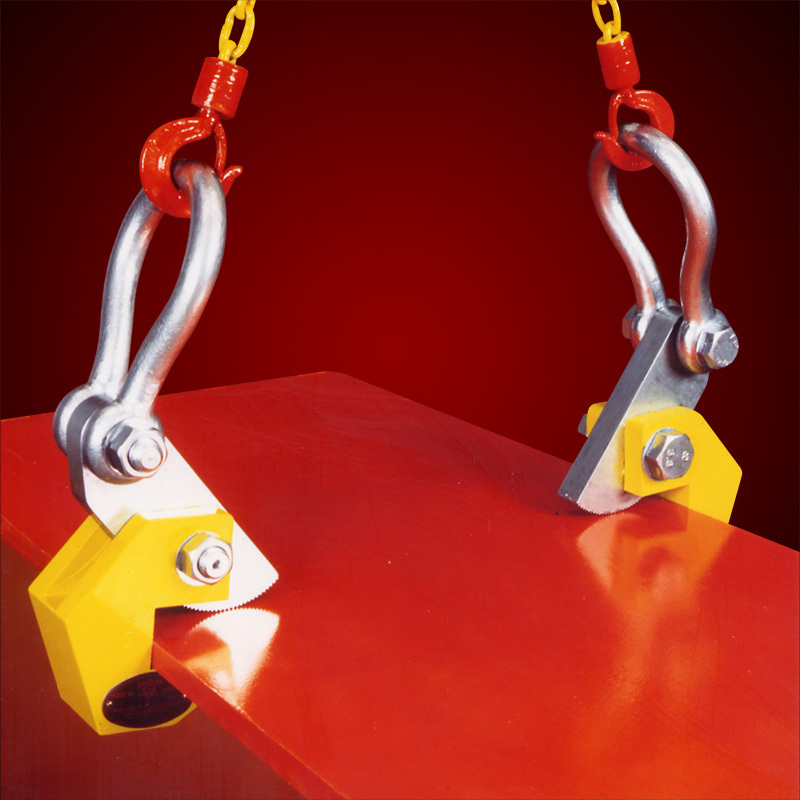 Horizontal plate lifting clamps are designed to be used as original ‘SUPERCLAMP’ pairs only. Their rigidly competent designs incorporate an easily replaceable toothed cam toe which ensures maximum grip and hold. The standard jaw apertures allow for a wide range of mild steel plate thickness to be horizontally lifted. Parts are easily replaceable. 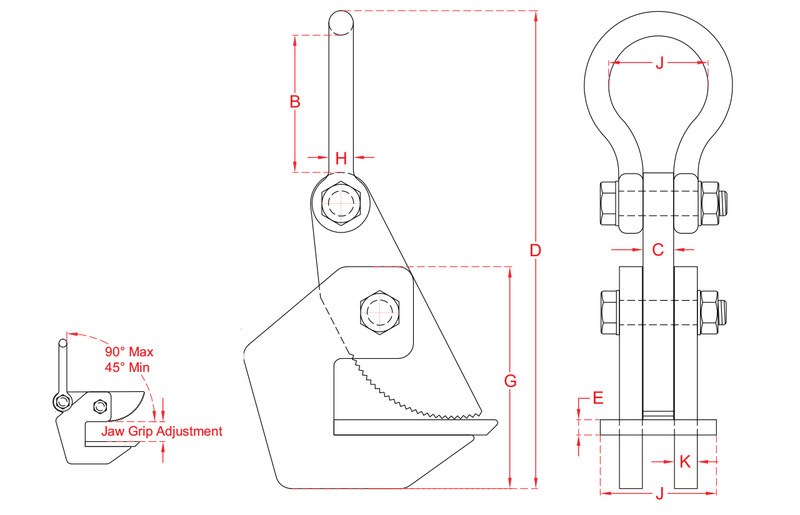 ‘SUPERCLAMP’ horizontal plate lifting clamps are equipped with a lifting shackle, and easily replaceable components.